These chocolate peppermint shortbread cookies are a testament to the fact that holiday baked goods—and holiday cheer in general—need not be elaborate. It’s easy to get caught up in worrying about appearances and pulling out all the stops, and I’m certainly not immune to that. In fact, I spent a large portion of the day before Thanksgiving working on what I had hoped would be the perfect (and perfectly decorated) apple pie, only to be totally crestfallen when I baked it at the wrong temperature and pieces of the crust sagged and fell off. While I intend to try again at some point, I have to admit that I enjoyed the process of making these shortbread cookies far more. The ingredients could hardly be simpler, and even though I chose to roll out the dough and use cookie cutters (see this post for an alternative method), this shortbread dough is wonderfully sturdy, which means that it’s easier to work with than pie dough, sugar cookie dough, or pretty much any other dough I’ve encountered. If you’ve got little ones who enjoy spending time in the kitchen, they can get involved too! 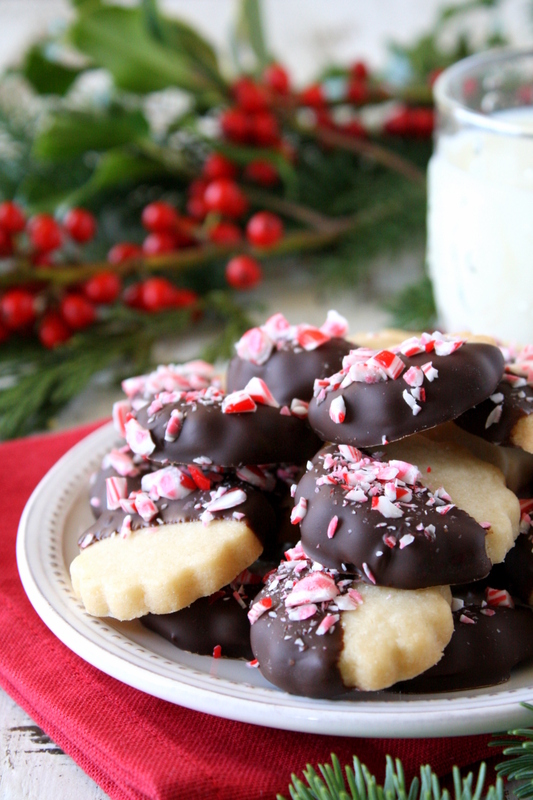 Let them take a rolling pin to a bag of candy canes, dunk the cookies in chocolate, or sprinkle the crushed candy on top. 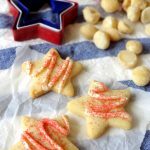 These shortbread cookies are perfect to leave out for Santa, to gift to teachers/neighbors/etc., or just to savor with a glass of milk or cup of tea on a chilly afternoon. 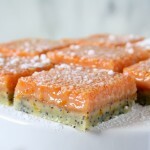 Their small size makes them especially versatile, which comes in handy during the holidays when people often just want a little something sweet to nibble: in between meals, after a large dinner, or even first thing in the morning! Personally, I can think of few things cozier than snuggling up on the couch to watch a movie with a plate of these cookies within reach. Speaking of movies, what are your favorites to watch during the holidays? The fiancé and I watched a few over Thanksgiving, among which Love the Coopers was our top pick. I highly recommend it if you’re in the mood for a story that touches on some real issues but without taking itself too seriously! Cream together the butter and sugars until smooth. Add the flour and salt and mix until combined. Form the dough into a disk (about 6 inches in diameter) and wrap with plastic wrap. Refrigerate for 1 hour (you can refrigerate it for longer, but you may then need to let it sit out for a few minutes before rolling it, as the dough will be quite hard). 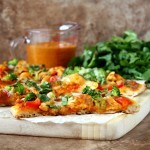 Once the dough is properly chilled, preheat oven to 325. Roll out the dough on a well-floured surface until about 1/4 inch thick. Use cookie cutters or a knife to cut the dough into cookies, and place on a baking sheet lined with a silicone mat (or parchment paper). Melt the chocolate in the microwave or in a double boiler. 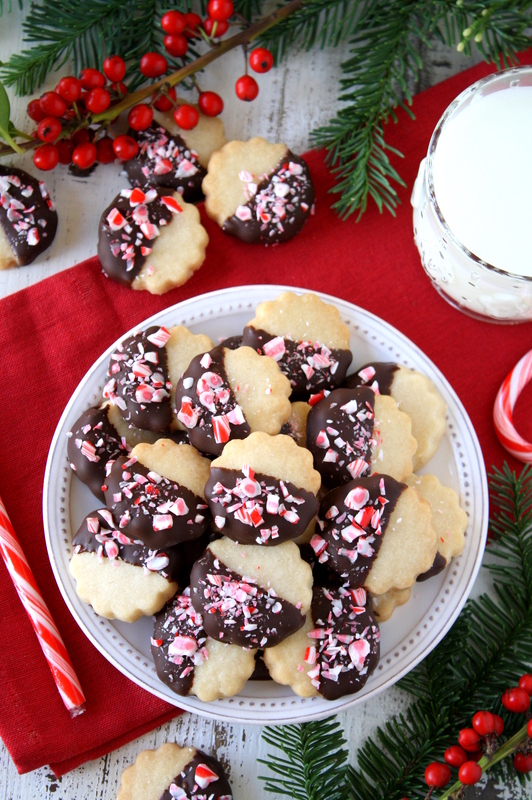 Dip each cookie in chocolate, place on a baking sheet lined with a silicone mat (or parchment paper), and sprinkle with crushed pieces of candy cane. While I often use margarine or dairy-free spreads in place of butter in recipes, I don't recommend doing so in this case, since the flavor of the butter is so prominent in shortbread. Shortbread recipe adapted from Better Homes & Gardens (December 2011). 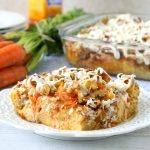 I’m sharing this post at Recipe of the Week and Fiesta Friday (cohosted by Everyday Healthy Recipes and The Not So Creative Cook). I love everything about this festive cookie recipe. 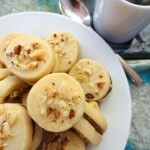 Shortbread cookies are also one of my favorites. 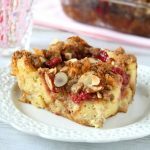 With so many holiday favorites, I hope to make room to try these! There’s ALWAYS room for shortbread…that’s one of the great things about their small size 😉 I hope you get a chance to try them! 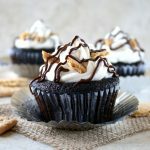 These were fun to make – especially since I had help to make them. These are very delicious. I’ll probably want to make more before long. 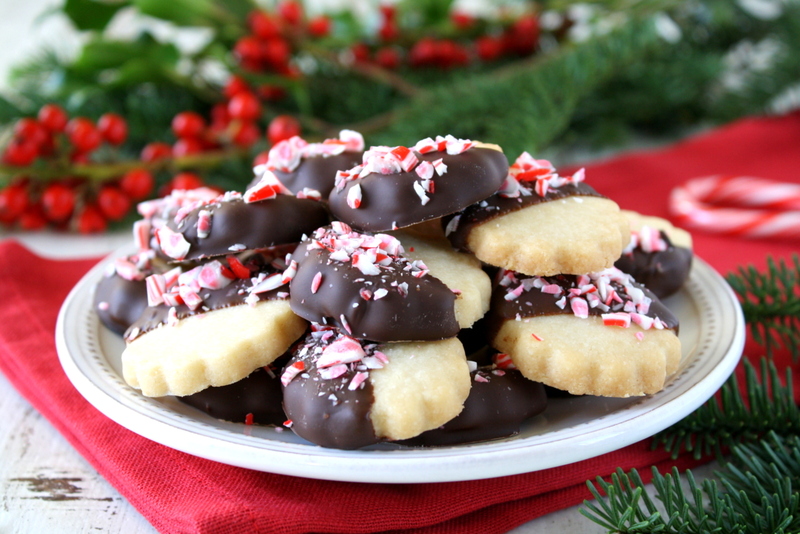 Can’t go wrong with shortbread, chocolate and peppermint during the holidays 🙂 I’m headed to a potluck in a couple weeks and will be bringing a plate of these! There is no such thing as too many cookies! These are so pretty. They sound so yummy, too! Thanks for sharing, Mara & happy FF! But to your cookies, I am definitely stealing this idea. This looks so good!! I’ve actually never seen either of those movies, but I definitely should! I hope you get a chance to make these 🙂 Thanks so much for stopping by! I would rather work with shortbread dough than pie dough any day of the week! Plus, shortbread is just so reliable. I like it for the holidays because it’s one less thing to worry about. And you can dip it in chocolate. 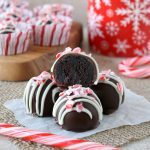 😉 These look delicious, especially with the crushed candy cane on top! My favorite Christmas movie is the Muppet Christmas Carol because I am secretly a seven year old. That makes a lot of sense about the pizza stone – I’ve used a similar method in the past but without really understanding the reason behind the method (which is part of why I skipped it this time). I didn’t realize that the dough was taking on liquid from the filling! Thanks for the tip 🙂 I hope you all have a wonderful Christmas! 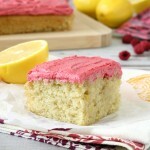 Ooooh my goodness- these look + sound amazing! Thank you! I’m glad they caught your eye. These cookies are really pretty! 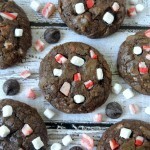 I always prefer cookies over pie 😀 And these just look perfect with that chocolate dip and peppermint garnish!! Thanks, Deepika! I don’t know if I have a preference for cookies vs. pie…I guess it depends on which kind. I’m wishing I had more of these cookies right now, though! These are lovely! Easy to prepare with simple ingredients and I love the use of dark chocolate – healthy for the heart. Great to serve on any occasion especially this coming Valentines! I was thinking the same thing, that these would also be fun for Valentine’s Day! I hope you get a chance to try them. Thanks so much for stopping by! They look great and probably taste amazing. I love cookies with a bit of garnish, gonna have to try this one out..